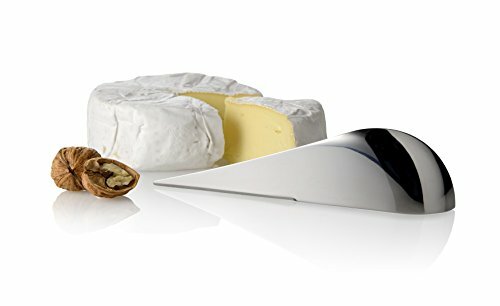 Anita Dineen has designed the cheese knife "Ant echinus". Its lines recall both the stylized forms of a slice of cheese and those of a little mouse intent on enjoying his favorite food. The curve creates a sensuous grip, giving the knife a balanced and aesthetically pleasing aspect. Ant echinus can stand on its blade and doesn't need any support: the fact that both sides of the blade are sharpened, also make it suitable for use as a cheese cutter for mature cheeses.